Dr. London is a distinguished social critic whose work has appeared in every major newspaper and journal in the country. WASHINGTON, DC, July 16, 2018 — Marquis Who's Who, the world's premier publisher of biographical profiles, is proud to present Herbert Ira London, PhD, with the Albert Nelson Marquis Lifetime Achievement Award. An accomplished listee, Dr. London celebrates many years' experience in her professional network, and has been noted for achievements, leadership qualities, and the credentials and successes she has accrued in her field. As in all Marquis Who's Who biographical volumes, individuals profiled are selected on the basis of current reference value. Factors such as position, noteworthy accomplishments, visibility, and prominence in a field are all taken into account during the selection process. Holding the position of president of the London Center Policy of Research in Washington, D.C. for the past six years, Dr. London is a recognized and tenured think-tank executive. The Center, which has been organized to engage in research on the key policy issues of our time, including national security, energy, and risk analysis, maintains a mission of challenging conventional wisdom where appropriate, add texture to the current deliberations on policy issues and build support for positions that further the national interest and the interest of key allies. A former senior research fellow at the Manhattan Institute and former president of the Hudson Institute, Inc. in D.C., Dr. London is also a professor emeritus at New York University where he not only taught as a John M. Olin professor of humanities but also served as dean of the Gallatin School of Individualized Study, which was organized to promote the study of great books and classic texts. Originally called the University Without Walls (UWW), which Dr. London established in 1972, it was part of a new trend in American higher education that provided inter-disciplinary and out-of-the-classroom learning. UWW changed its name to the Gallatin Division in 1976. Directing the program from 1972 to 1992, Dr. London spent a total of 38 years on the New York campus. Dr. London is a distinguished social critic whose work has appeared in every major newspaper and journal in the country such as the Wall Street Journal, Fortune and New York Times Magazine. In addition to his television program, “Myths that Rule America,” he also created a 47-part CBS series called “The American Character.” A guest lecturer on many major radio and television news programs and at colleges and universities around the country, Dr. London also appeared as a co-host on the CNN program “Crossfire,” was the executive producer of “Rodney King Incident” and was formerly syndicated by Knight-Ridder and Bridge News. Dr. London has also served as a contributing editor for “St. Croix Review”, “American Arts Quarterly” and “The American Spectator.” Likewise, he wrote a monthly newsletter called “The London Letter” and published a nationally syndicated column for “King Features.” Notably, Dr. London's book “Why Are They Lying to Our Children” was the topic of a speech given by President Ronald Regan, who asked him to put together an agenda for him in 1984. A member of several professional organizations, including the American Historical Association and the Council on Foreign Relations, Dr. London was a founder of the National Association of Scholars, and has been active on the board of trustees for the BlackRock Funds and the American Council on Science and Health. He has contributed to the board of directors for the Grantham University, among other roles. Active with various institutions as well, Dr. London served on the board of governors for Saint John's College and the board of the Hudson Institute. 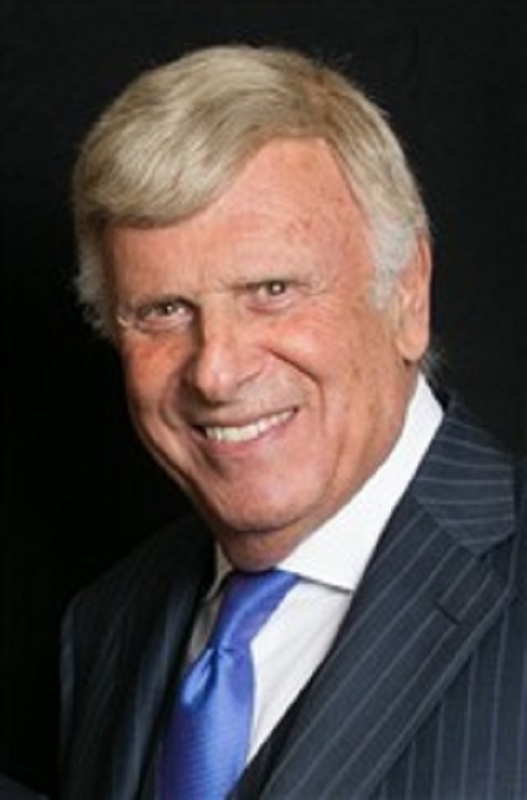 Dr. London first earned an Bachelor of Arts at Columbia University in New York 1960 before completing a Doctor of Philosophy in History at New York University in 1966. Returning to college many years later, he obtained a Doctor of Letters from Aix-Marseille University in France in 1982 and a second Doctor of Letters at Grove City College in Pennsylvania in 1993. Honored with multiple awards over the years, Dr. London most recently received a Jeane Kirkpatrick Prize for Academic Freedom from The Lynde and Harry Bradley Foundation in 2012, a Harbour League's Founders Award in 2011 and a Liberty and Media Award in 2002. Dr. London currently maintains involvement as an affiliated professor at the University of Haifa in Israel. Furthermore, he ran for the governor of New York as the conservative candidate, was a republican candidate for the Mayor of New York City, and was a candidate for the New York State comptroller. The proud father of three successful daughters, Dr. London has been showcased in approximately 60 editions of Who's Who, including Who's Who in America, Who's Who in American Politics and Who's Who in the World. In recognition of outstanding contributions to her profession and the Marquis Who's Who community, Herbert Ira London, PhD, has been featured on the Albert Nelson Marquis Lifetime Achievement website. Please visit www.ltachievers.com for more information about this honor.